We know that data migration can be complex. At xLM Solutions, we have developed best-in-class tools, products and solutions for successful data migrations, while working with the many PLM/PDM systems and enterprise technology solutions used by manufacturers. Here I want to focus on migrating data to the 3DEXPERIENCE platform. At this year’s COE Annual Experience and Techni Fair in San Diego, I presented a session on migrating data to the 3DEXPERIENCE platform that explains the process and describes considerations and strategies for success. Excerpts from that presentation are included here. With proper planning and testing, migrating data to the 3DEXPERIENCE platform from any legacy system can go smoothly. It requires the proper tools and methodologies that meet the unique needs of manufacturers without busting the budget. It also requires time and planning to set the right expectations. This includes fully understanding requirements, data sets, limitations and the technology being used. 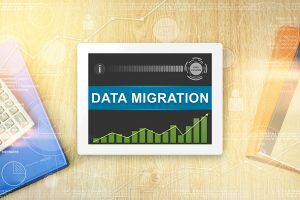 For a fully detailed description of data migration, check out our white paper Migrating to 3DEXPERIENCE. As you prepare for migrating data to the 3DEXPERIENCE platform, it’s important to look at the content and make decisions about the data, how it will be mapped over, naming conventions, how the data will be organized in 3DEXPERIENCE i.e. workspaces, collaborative spaces, etc. When migrating data we want to insure the data will appear in the same manner as if it was created from scratch in 3DEXPERIENCE. During the data analysis, we review and quantify the nature and location of the legacy data. Is it file or folder based? Is it in databases and vaults of legacy systems? Are there hard copies of data around that need to be scanned and migrated in or is all data available in electronic form? Which types of files will be migrated, e.g., CAD, office data, meta-data, etc.? Is there any non-file related data to be migrated? We also want to anticipate any issues that may arise with data access including access to third-party systems, and to identify if all sources are available or if there is any missing data. Another part of the data analysis process is the step to develop mapping rules, including workspace and folder structure, attribute and state mapping, revision conformity and type mapping, plus any needs for special logic in mapping. Now is also the time to look at scheduling downtime for the final migration and developing a plan for the data cut over. We recommend that users set a reasonable time frame for a data migration – usually a weekend or extended weekend period is sufficient for any size database. Best practices suggest a full migration because it allows for a faster transformation with no extra cost of developing the migration solution or maintaining two systems in parallel – it may take extra time for migration downtime. When designing the migration, think also about when the legacy system will be turned off, how long the data will take to load, and who will be responsible for each part of the data load process. Before migrating data to the 3DEXPERIENCE platform, it’s important to conduct a cleanup procedure so that you’re not migrating bad or corrupt data. During the cleanup, the team looks for duplicate part numbers and file names that will cause problems later on. Missing or incorrect file attributes, associations and links all need to be fixed before the migration. It’s important to make sure file revisions are current, that current assemblies have current parts and that there are no missing mandatory attributes in the source system, among other anomalies needing attention. At this time, you can verify any identified business rules around the data and if any of the data to be migrated does not meet such rules, you can generate reports to clean up and fix the data before migrating it into the new system. Your choice of a data migration method will depend on the size of your project and the resources available to your team. Among the different methods, tools and technologies that can be used to migrate data into 3DEXPERIENCE are those that use APIs (JPOs, MQL and TcL), 3DX Adaplet technology or import tools from Dassault like XPDM for SolidWorks PDM and SmarTeam and some custom migrations. With proper planning and testing, migrating data to the 3DEXPERIENCE platform should go smoothly. It’s recommended that you follow all of the documented procedures and allocate extra time for any unexpected issues. Usually 2 to 4 test cycles will produce the results you want, based on the volume of your data. Mitigate any issues, such as missing data files, broken links or blank fields, inconsistent legacy data, etc. The test environment should mimic your production environment as closely as possible. xLM Solutions is an expert in end-to-end lifecycle management services and solutions, including data migration, requirement analysis, solution implementation, configuration and customization, integration with other solutions, and support and maintenance. Contact us for guidance. Thanks, Venkata. Let us know if you are looking for data migration solutions for the 3DEXPERIENCE platform. We’d be happy to help. We’ll contact you directly about your migration project.